Looking for a new way to twist your hair into shape? It’s time to break out those bobby pins! 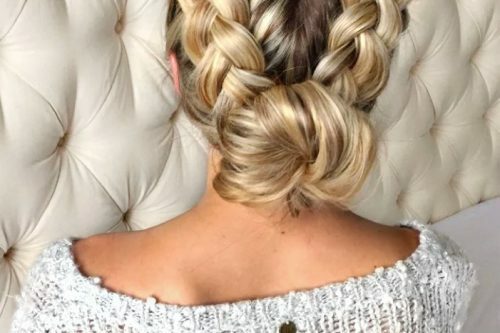 We’re here to share some swoon-worthy updos that are surprisingly easy to create. Find a new way to play up your personal style with these chic updos. Be a maiden with hair so fair wearing this dashing hairstyle. Best to keep hair away from your face as you tuck it up in a low do partnered with a crystal decor. 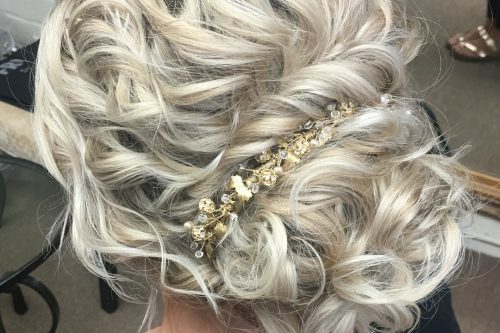 This curly updo is a real stunner! A marvelous and effortless look for any red carpet event! 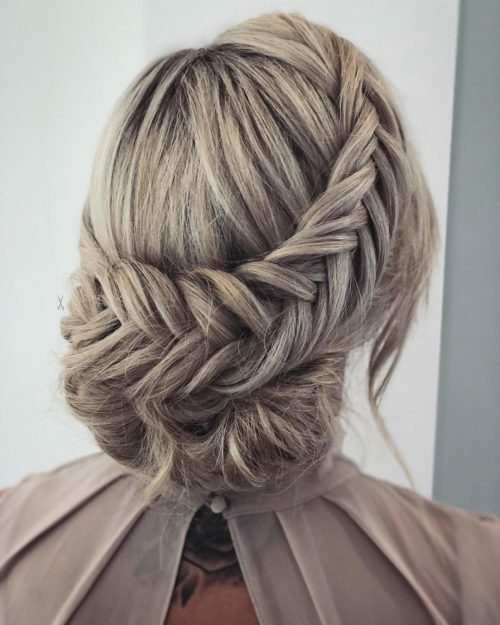 Loose and messy up-dos are always beautiful, but when combined with a halo braid then you certainly have reached perfection! This features a super charming and romantic simple updo. 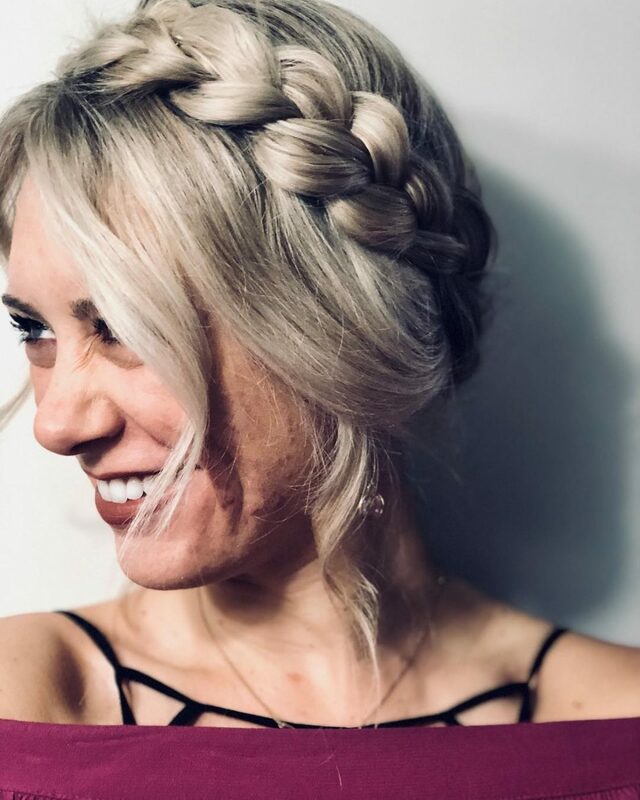 Super easy to do – just create a thick loose braid starting from the side of your head down to the other side, let down some front pieces and curl them for a flirty vibe, and you’re ready to strut! 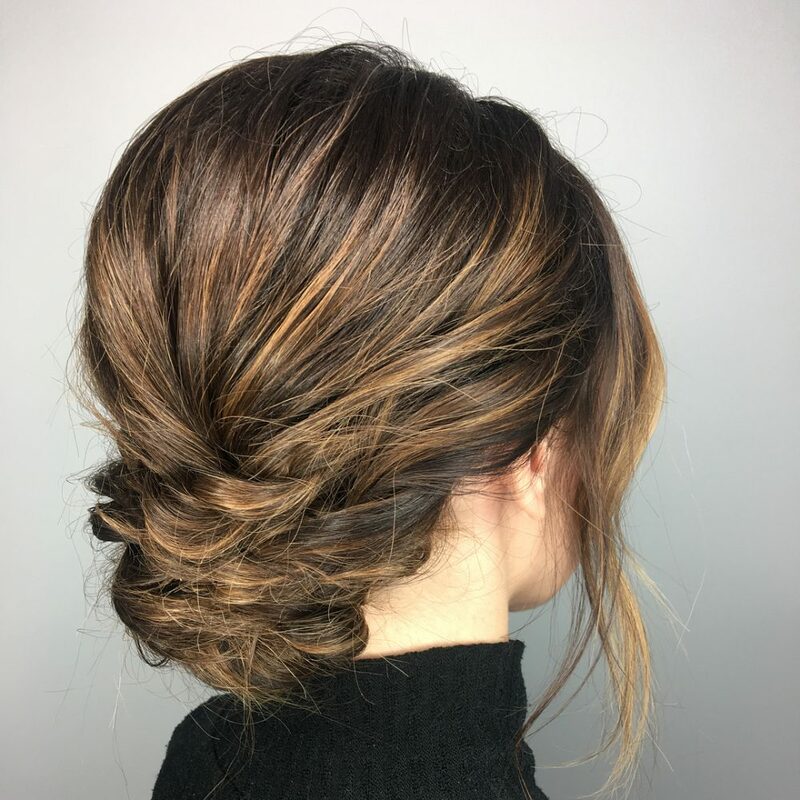 A really simple yet sophisticated-looking updo is this twisted bun that works amazingly when you have highlights or ombre going on with your hair. The twists give your colored hair dimension and interest without effort. 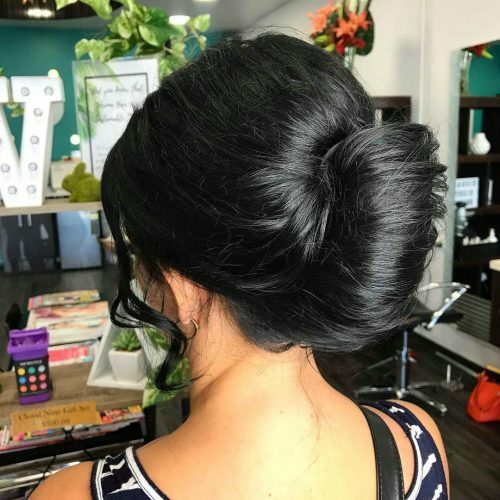 A messy yet sleek and classy bun gives a flattering look for any occasion whether it be a formal night or a day in the mall. 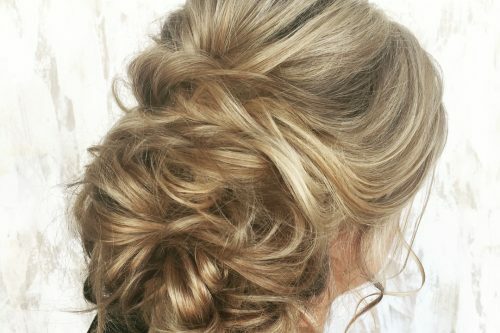 Add texture to your hair by spraying some sea salt spray or simply tousling it before doing this lovely low bun. This look is a textured bun. The cutest thing about it would be the effortless look. It’s soft-looking and I love the fact that it can be dressed up with a delicate hair piece to suit any occasion. 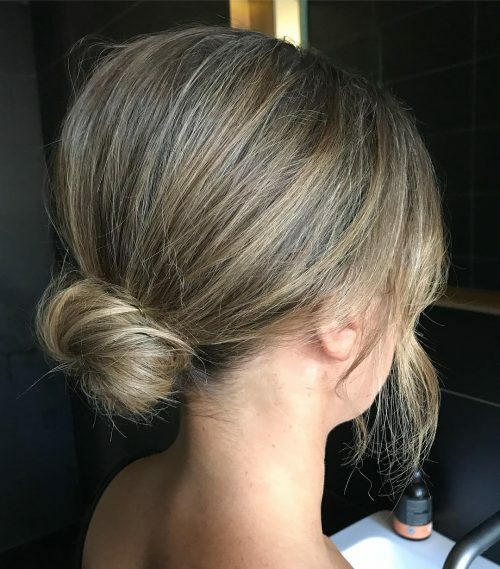 The thing with a bun is you can have them so many different ways, so my advice would be to get your stylist to play around, make the style lose, give it a sleeker polished look, have less or no hair shaping around the front, or keep the hair out around the face. Also, you can add hair pieces to dress it up. 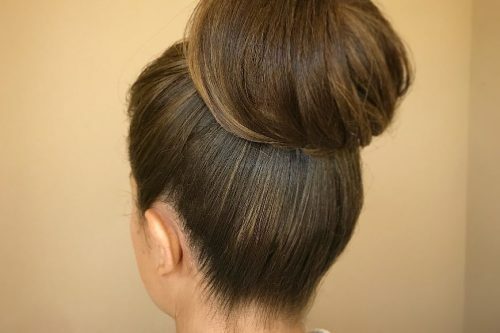 A bun is a simple style but have fun and make it your own. This style is a bohemian fishtail braided updo. 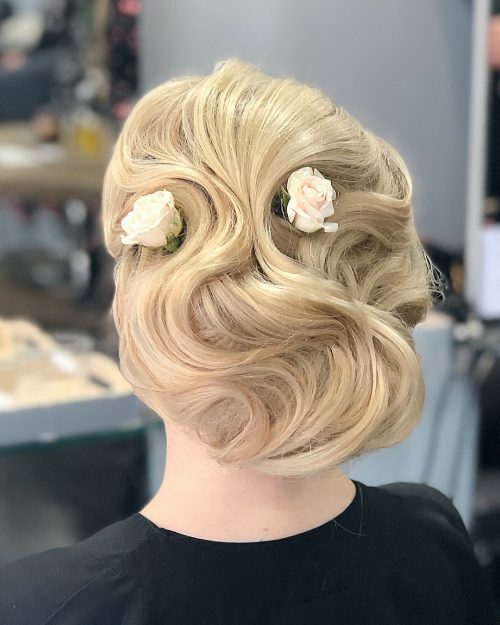 The loveliest thing about this look is how much detail can be seen in the style due to the thickness and color of the hair, giving a sophisticated yet effortless finish. Loosely wave the hair using a soft tong first, as this will help to shape the hair much easier. 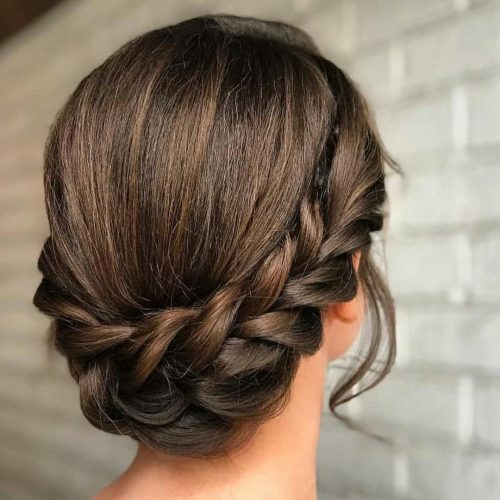 The essential products for achieving this look are texturizing powder for teasing to create a chunky braid with hold and a natural hold hairspray to finish. This style best suits medium to thick hair and the detail is much more visible on lighter hair. This style is perfect for a wedding or special occasion. 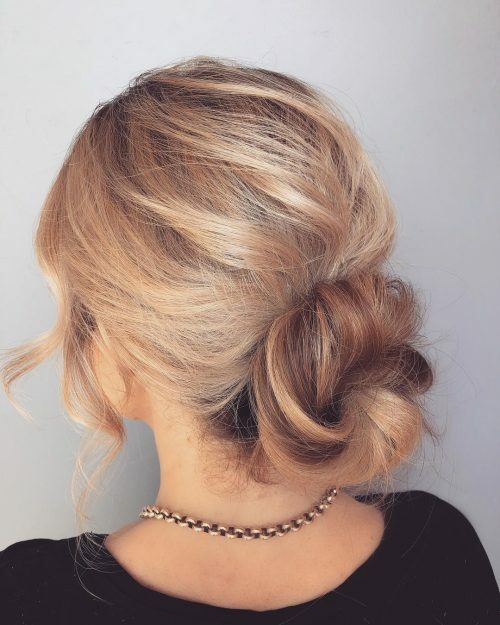 Elegant and sophisticated – it’s a twist on a classic high bun. I love that it’s a little more undone and effortless. This look was actually inspired by the model’s dress. It’s a great look to complement a high neckline and showcase the delicate back details. This style is perfect for the client who wants to look like a modern day princess with a fun-loving personality. It’s also a great look for a client who needs her style to last all day or will be in warm temperatures and wants her hair out of her face. Sometimes clients think they need to have super long hair to achieve this look (or any updo at all), but that’s not true. This model had slightly longer than shoulder length hair. I used Aquage products to achieve this look. 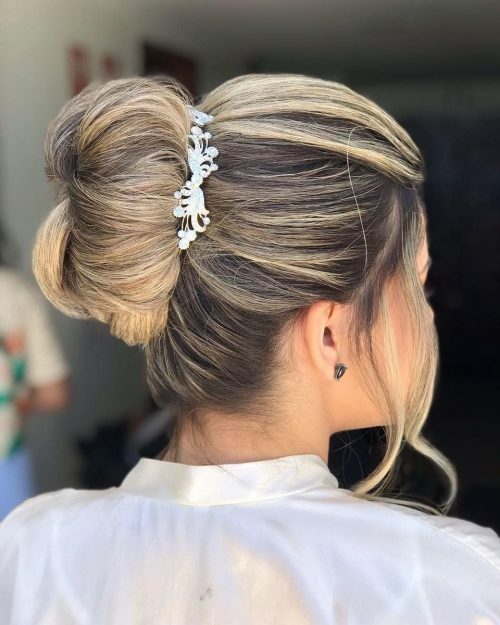 Started with a detailing crème, curled all of her hair with a 1.5″ marcel, used a wide tooth comb to gently separate the curls, then I took a section of hair from the crown of her head, put it in a ponytail, teased it and rolled it up to create a bun (instead of using a hair donut). Finally, I began to pin the curls up around the bun. I always use a working hairspray throughout the process, then use a finishing hairspray and spray-on shine at the end. 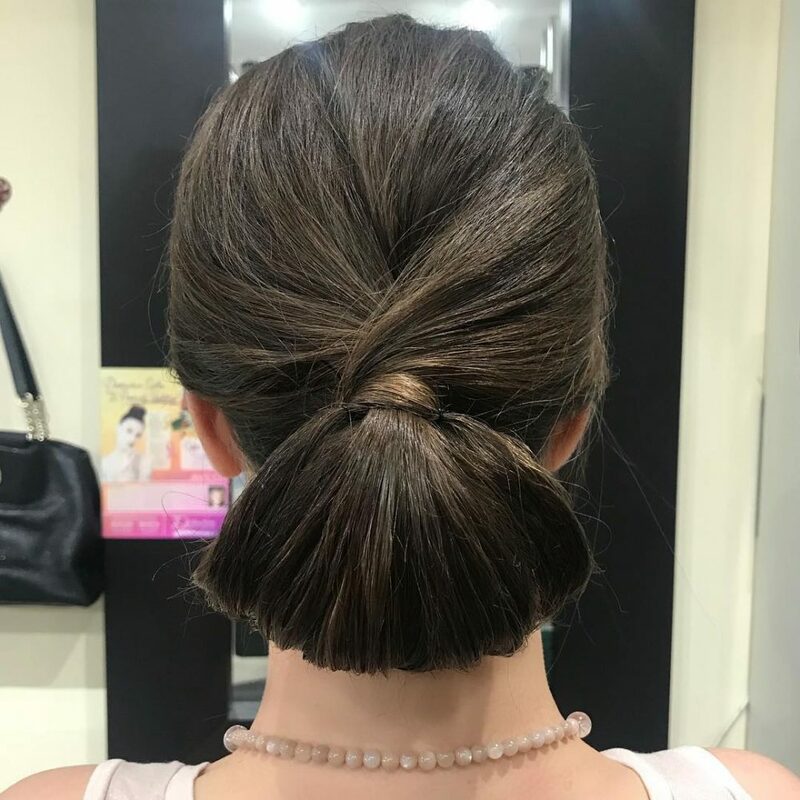 It is an elegant, classic, princess-like hairstyle. It’s really feminine. The best part about it is that depending on how you style it, this look can be used at a huge variety of events, so it’s very versatile. As hairstyles may reflect our personalities and lifestyle, I would indicate this look to those who are compatible with the adjectives mentioned before. That said, this look goes with any type of hair and almost any length of hair. 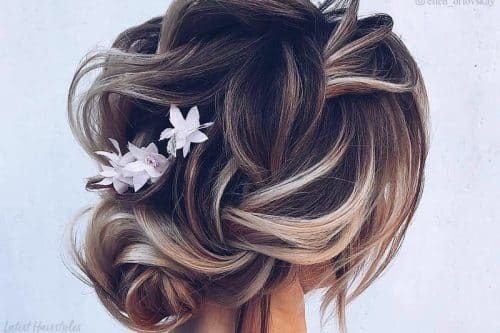 It’s an easy updo, so all you need are strong bobby pins, the right size of hair donut, and hair spray to tame the flyaways. This is completely romantic and perfect for clients looking to add a little bit of Hollywood glamour to their style, while still keeping it sweet and contemporary. I love the way the slight gaps in the top layer of hair reveal the curls underneath. I feel it adds texture and interest to the look as opposed to one coherent wave over the surface. I would always consider the client’s hair length and density. I imagine building a look like this, like building a house if there aren’t enough materials to build a solid house, don’t start. It’ll just fall down! In this instance, my client has waist length hair that is fairly fine, and to be honest, in need of a good cut! However, it made the perfect base to start with, as the length gave me loads to work with and the flyaway nature of the hair gave me lots of additional hold when backcombed! Hairspray is an absolute must, and the Wella Eimi Misitify Me Strong Hairspray is my favourite for constructing these types of looks. The flowers I included are interchangeable and I did think retrospectively how cute this might have looked with a metal hair piece that was really punky and ornate – think a steampunk kind of thing! I love that contrast of something really beautiful and classic juxtaposed against something really solid and urban. However, my client was after something to reflect her own style. So we went with two small pink roses to compliment not only her hair colour, but also her stature. Any larger type of flower on such a petite lady may have looked slightly OTT, and ruined the delicacy of the overall finish. All in all, this look is perfect for a formal event, summer garden party, wedding, or birthday. Although, I would have to advise keeping headbanging to a minimum! The Textured French Roll is designed to be a modern take on the classic French Roll. This look is quite heavily textured to feel modern and chic while remaining as sophisticated as the original classic style. I always make sure to leave a few tendrils out around the face for softness. My favorite thing about this style is that it is a wearable style that can complement almost any outfit! This is my #1 favourite style for a client who wants to look formal, without looking too over-done. You may dress this style up or down, depending on your outfit and the occasion you are wearing it too. It is an ideal choice for somebody who has shorter hair who may struggle to get their hair into an updo. I always incorporate a crescent hair-padding piece to finer hair to give the illusion of thickness. I find myself recommending this style to wedding guests so they can have their hair styled up, without looking like a bridesmaid. This is an unstructured, messy chignon. I love the fact that she looks like she has loads of hair, but it is actually a long bob that barely touches her shoulders. This look was perfect for my client that was off to a family wedding and wanted to look like she had made an effort but without trying to outdo the bridesmaids! I would describe this look as a simple faux braided look that has an elegant feel to it without having to try too hard at all to achieve it. My favorite thing about this look is that it’s SO easy to create, but it still looks very put together. Prep your hair to be smooth before doing the “braid” if you want a sleek look like this photo. Use smoothing products from your favorite professional line on wet hair and blow dry your hair smooth. I used Aveda Smooth Infusion Style Prep and Aveda Glossing Straightener to blow dry, then smoothed the hair over with Aveda Light Elements Smoothing Serum. If your hair gets frizzy, lightly run a flat iron on low heat over your hair, then mimic the “braided” look with elastics! An even easier option would be to work with your natural wave or day-old curls for a looser, more romantic “braided” look. 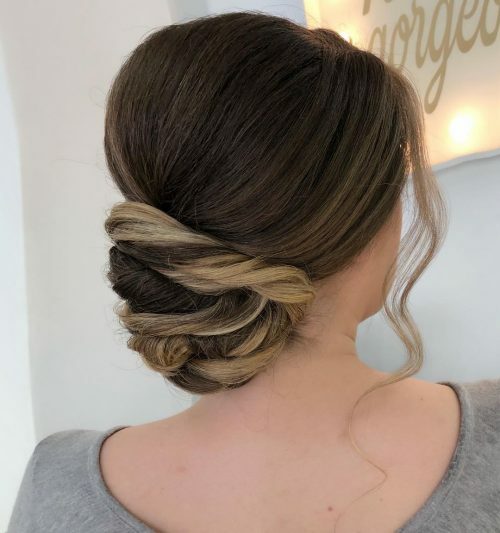 This style is perfect for work events, holiday parties, interviews, weddings, or any event when you need to look pulled together but don’t have the time to put in a lot of work to get a pretty style! This look is so boho chic. I love that it requires minimal to no heat, so it’s a look I can do on the fly! My advice for recreating this look would be to secure the braids by making an “X” with your bobby pins. This will keep the hair nice and secure while you pull out all the pieces you want to give it texture! I teased my hair slightly at the crown and sprayed it with a little texture spray to give it some volume, but you can customize it to your own style and hair texture! This look holds all day long and is a fun alternative style to keep your hair out of your face. You could also add some fun hair jewelry to make it even more festive and chic! 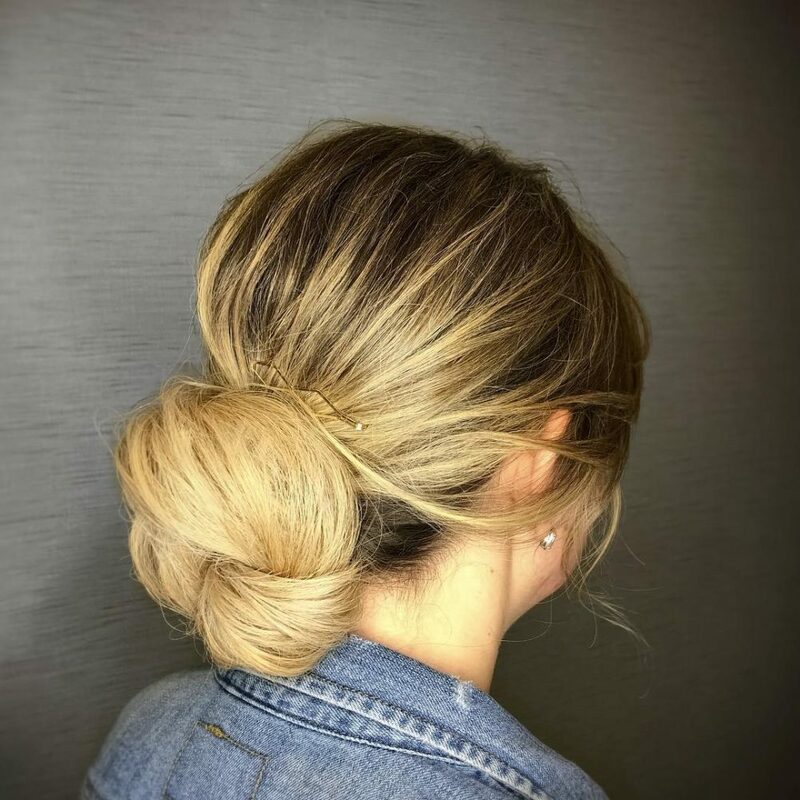 This knotted bun is great for any occasion, formal event, or even an everyday look. I love how easy it is to achieve and still looks sophisticated. This look works great for medium to long hair and can be worn by anyone. I used Redken Control Addict 28 to set this style. It is a strong hold hairspray that helps fight against humidity without residue or flaking. It is also flexible, allowing you to easily change the style if needed. I call this hairstyle the fishtail twist. It’s a simple hair bump wrapped with a fishtail braid, that is also wrapped with the front/bang piece. My favorite thing about it would be the twist around the fishtail braid. 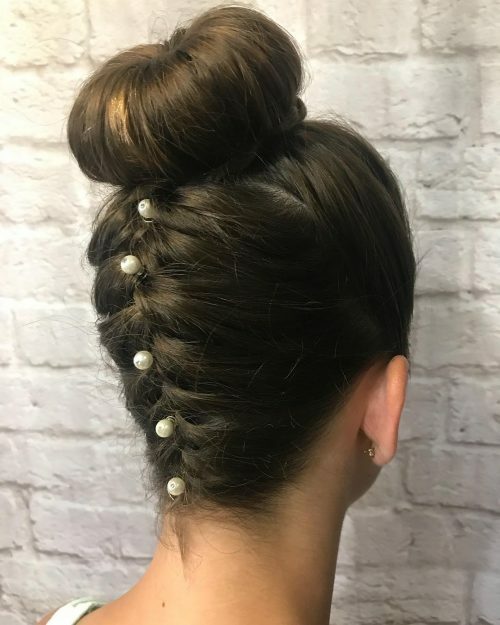 While I was creating this updo, I did it thinking it would look kind of strange, but it turned out looking cute and different! It is best to curl hair prior to starting the updo. Tease the top and crown to desired height. 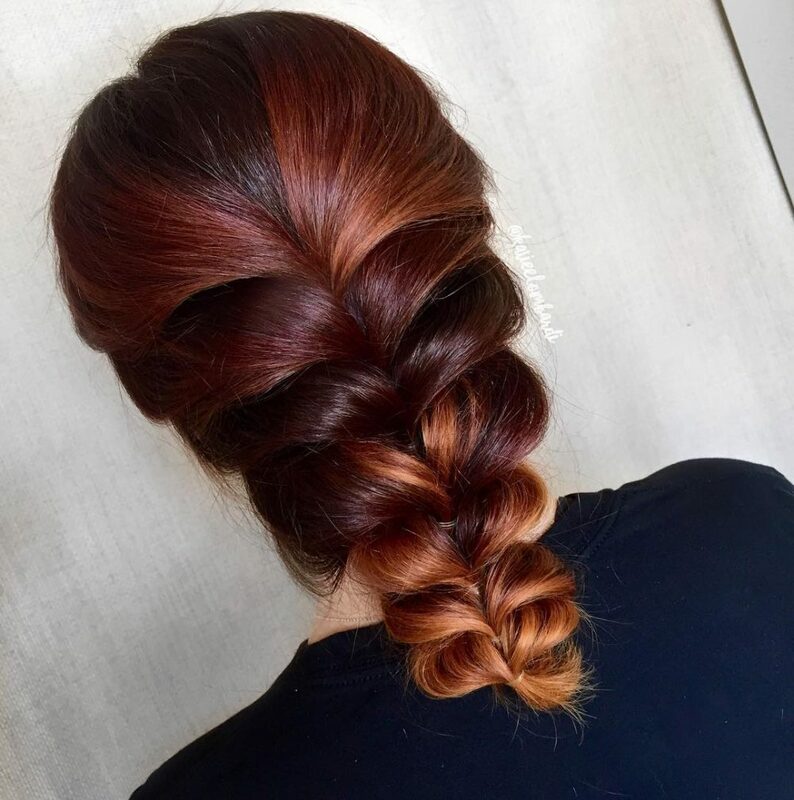 You can customize the braid to any type of braid you are best at! 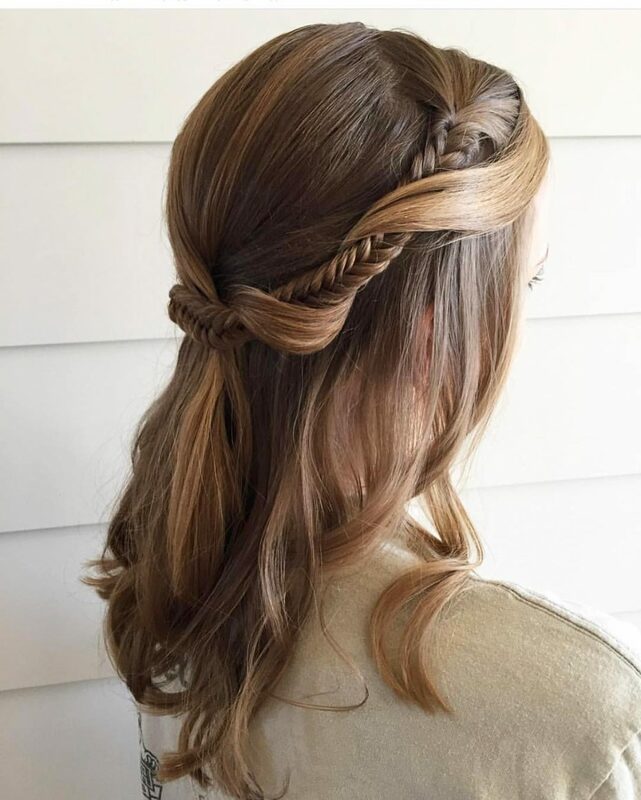 Make sure you have enough hair in the front to loop around the braid and all the way to the back of the head. I love this look because it is so simple and easy to do! Literally, anyone could do it, I swear! I think this look is so elegant and simple, making it perfect for any occasion. I’ve used it on clients who are just wanting something simply, flirty and elegant, and I’ve also used it on brides with the addition of a nice jewel clip or even a flower crown. This look took me no more than ten minutes to create. I prepped the hair with sea salt spray to give it a little bit of grip, then finished it off with some medium hold hairspray. I’ve created this look on anyone from shoulder-length hair to hair that’s down their back. I love that you can make this look a little messy and relaxed for a boho-type feel, or extremely tight and neat for a special event. I’d describe this look as a modern take on the classic chignon bun. 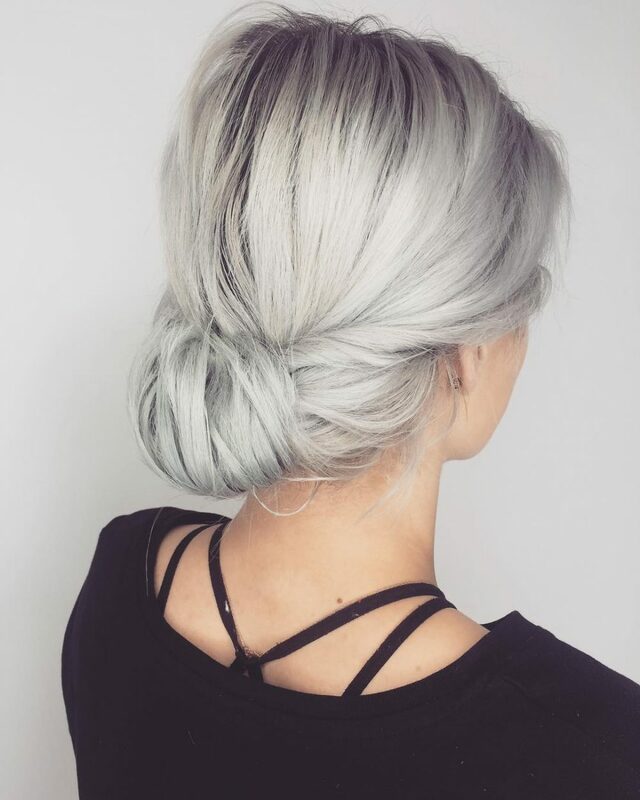 My favorite thing about this updo would be the movement of it all. I love how the hair drapes, sweeps and wraps around itself to create an effortless look. 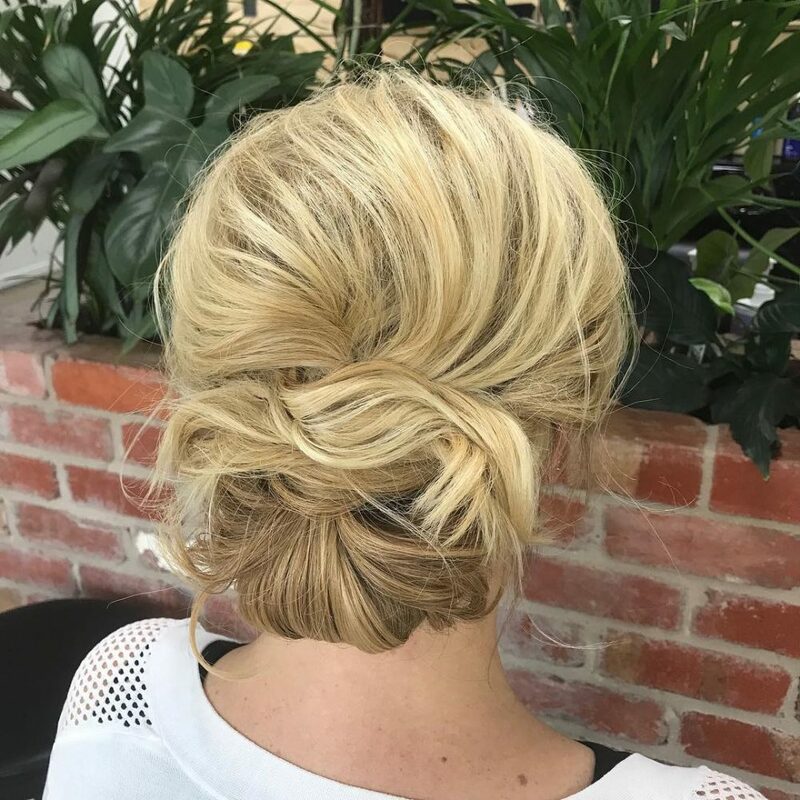 This guest had a finer texture, so I used Aveda’s Thickening Tonic to give the illusion of thicker hair and a thicker bun. A helpful tip when creating a slightly textured look is to pinch and clip little sections of hair with small double-pronged clips, then spray with Aveda’s Control Force to hold the pieces in place. The more you clip, the more piecey the look. I recommend this look for someone with fine to medium textured hair that is attending a special event such as a gala or holiday party. This sort of look pairs nicely with a dress that has a higher front neckline and a slightly draped back. I would describe this look as soft, simple and romantic. My favorite thing about this look was that it was done without the use of hot tools. My favorite products for a recreating a look like this are from Unite. I love 7 Seconds Glossing to smooth out the sections and add shine, Texturiza for pancaking the twists and adding texture to the look, and Expanda Dust for tons of volume. I recommend this look for a client with medium density and medium length hair. It’s perfect for someone who wants a modern, romantic twist to a classic low chignon. Arrive in fashion with braids up in a big bun. The secret? A sock to serve as the body of your hair’s main attraction.